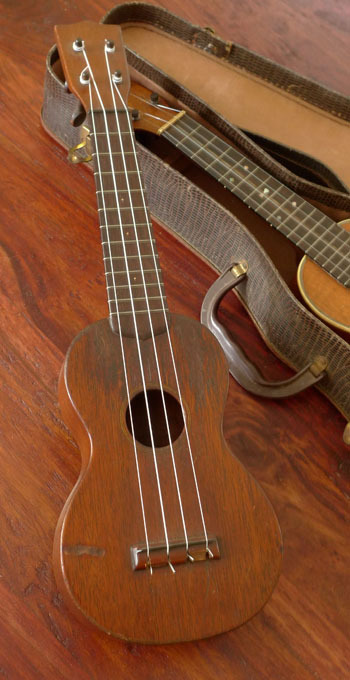 We converted this Golden Era 12-fret Koa Martin from the original Hawaiian setup ourselves, so it’s perfect. The instrument does not have a crack anywhere. All original finish. 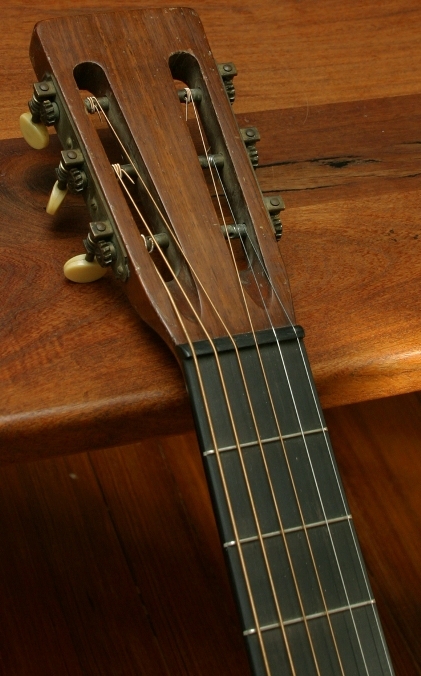 Original Ebony bridge, converted from the tall Hawaiian set-up to a normal 30’s set-up. Same with the ebony nut. All new, period-perfect Bar Frets. 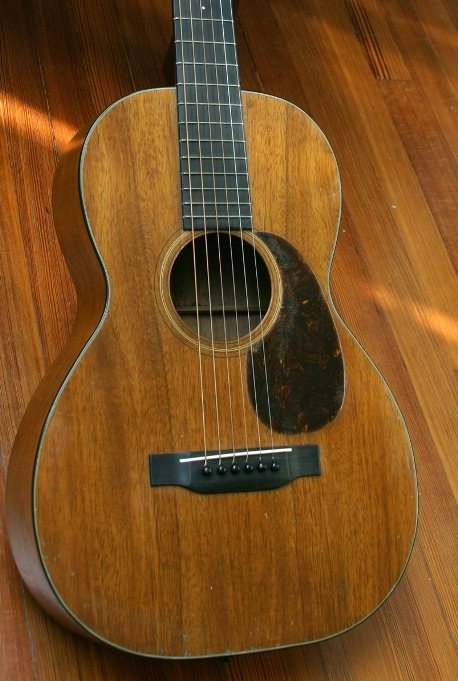 We radiused the ebony fretboard to 30’s Martin specs. Neck was set and action is perfect. 1-7/8 inch nut width. 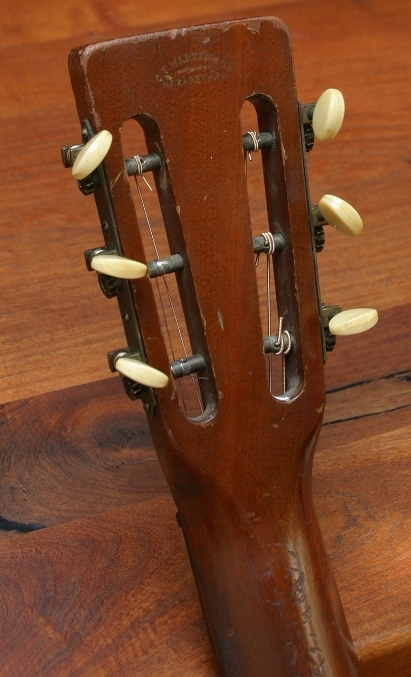 Original tuners. Original bridge plate. 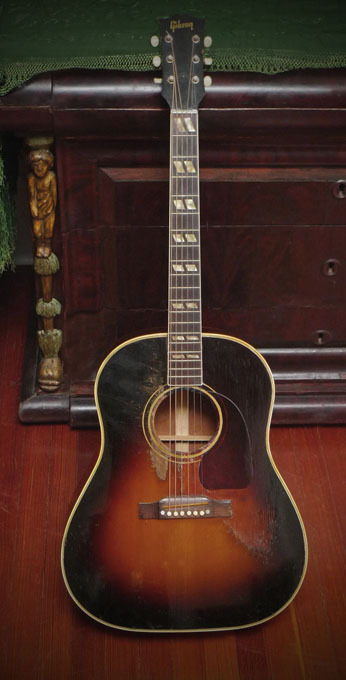 Minor nicks and dings on top and back, but with the all original finish and crack-free, it’s a rare specimen. 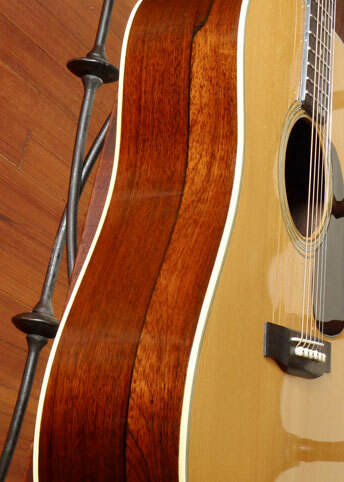 Nothing compares in tone to an all-Koa Golden Age Martin. Koa blends the midrange of mahogany with the top end of maple-or, in the case of a fine 30’s Koa Martin- hints of Brazilian rosewood. 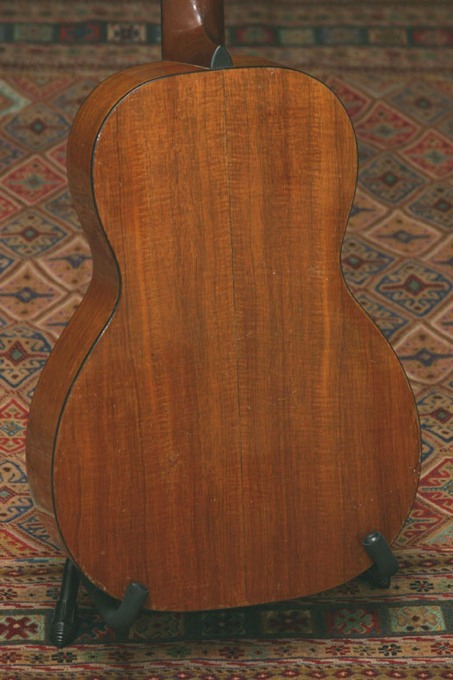 This fine 0-18K has all you would want from a Koa Martin, with the clearest, bell-like treble string tone imaginable.